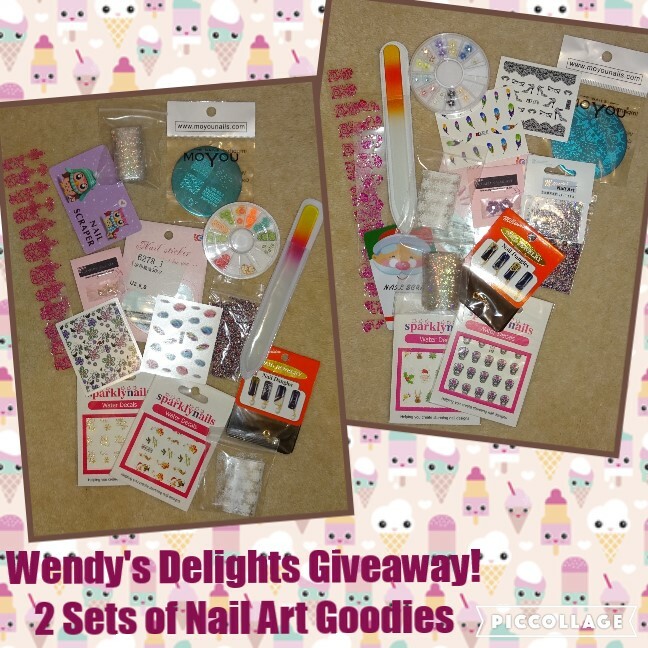 I'm hosting a giveaway, 2 winners will win one set of Nail Art goodies which include, water decals, foils, nail file, stamping plate, stamping scraper, nail stickers & embellishments. I love creating designs on my nails and if you do too, or want to get more into it then please join my giveaway by filling out the Rafflecopter below. I followed you on Pinterest, done the facebook thing but I don't do blogslovins or tweet. Thank you for the chance to win all these goodies! Nice to see an international give away.